That does not come as much of a surprise given the Irishman is making his professional debut as a boxer against an opponent with 49 fights. Throw in the fact that not only did his opponent win each and every one of that almost half-century of bouts, but that opponent is all-time great, Floyd Mayweather Jr. Things are looking incredibly one sided, on paper at least. 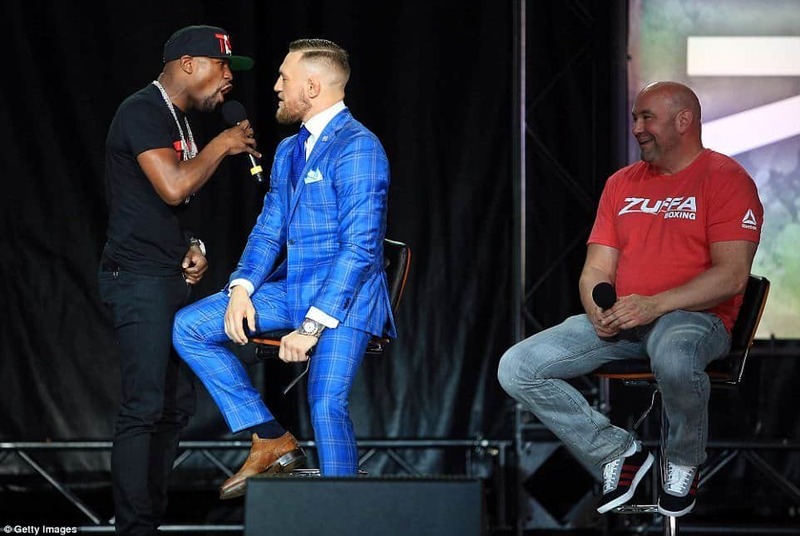 There are many in the world of boxing who simply refuse to watch the Mayweather vs. McGregor bout, claiming that it is already a foregone conclusion. One of the greatest defensive boxers of all time is not going to face any challenge by a man who is still learning the craft, they argue. It is a claim which is very difficult to reasonably counter. “Conor McGregor is a pure puncher,” Kellerman told ESPN. “The reason I know he is a pure puncher is because I’ve seen him score knockouts going backwards. That is not easy to do, to hit a guy so hard while your body is moving backward where the momentum is going the other way that you knock him out. That means you’re a precise puncher for an MMA fighter and you have real punching power. So yes, McGregor is a pure puncher. He has natural punching ability. Kellerman’s argument is that although McGregor is a gifted Mixed Martial Artist, he is simply not a boxer. There is a massive difference between throwing punches and boxing and those differences will be very evident once we see the Dubliner opposite Mayweather come Aug. 26. Footwork, head movement, defense and technique take years of honing in order to get to the level of an accomplished professional boxer. Mayweather has essentially ‘been born with boxing gloves on’ and is now 40 years old. Furthermore, the Grand-Rapids-native is far from an ordinary boxer – Mayweather is up there with the greatest in the history of the sport. If we take a look at some of the opponents Mayweather has not just beaten, but at times embarrassed, the case for a McGregor win looks drastically lighter. Manny Pacquiao, Oscar De La Hoya, Saul “Canelo” Alvarez, Miguel Cotto, Juan Manuel Marquez, “Sugar” Shane Mosely, Diego Corrales, Arturo Gatti (the list goes on and on). Would McGregor have any hope inside the ropes against one of these fighters? Among this group are the names of Olympic champions, multiple weight title holders and some of the greatest legends of the sport. Not one of them could beat Mayweather. While McGregor may be, at 29, the younger man to Floyd’s 40, this will not make a difference. Mayweather is a fighter who takes health and fitness extremely seriously – despite having entered retirement on two occasions, he is simply never out of shape. The myth of Mayweather struggling against Southpaws is also easily countered. One look at his 49-0 record shows you no losses – that supposed difficulty has not affected his ability to win fights. Sure, DeMarcus Corley and Zab Judah gave him problems in the early rounds, but in the case of the former, Corley was the first southpaw he had faced in 7 years. Judah, it can be argued, caused Mayweather discomfort due to his speed, rather than his unorthodox stance. The most recent encounter the 40-year-old has had with a “lefty” was against Pacquiao in 2015, which was preceded by an encounter in 2013 against Robert Guerrero – once again, Mayweather came out on top (in Guerrero’s case, he was schooled by “TBE”). When McGregor steps foot into a boxing ring for the first time in a professional capacity on Aug. 26, he will know that the only likelihood of him winning the fight will be by a KO or stoppage. Whether he is wearing 8 or 10 ounce gloves (more than likely to be the latter, despite Mayweather’s bravado) the chances of him finding the slightest chink in the impregnable armor of one of the greatest defensive boxer of all time is slim to none. Simply put, Conor McGregor has no chance.